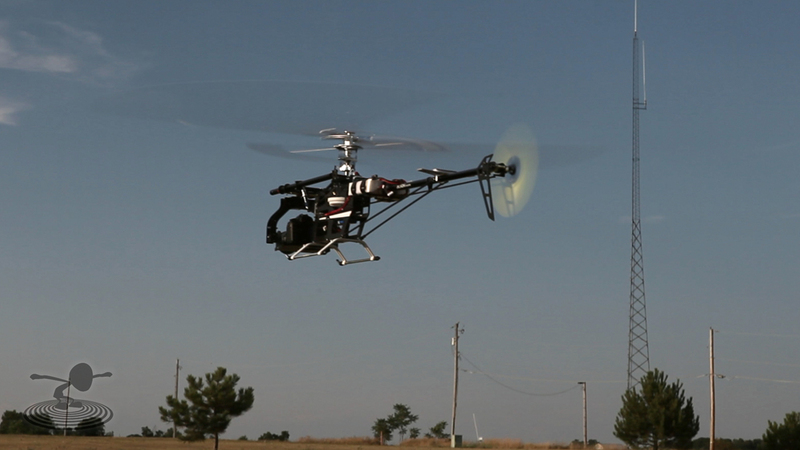 Eric shows off his modified Align T-Rex 700E which has been equipped with a PhotoShip ONE 2x Pan/Tilt DSLR Camera Gimbal. 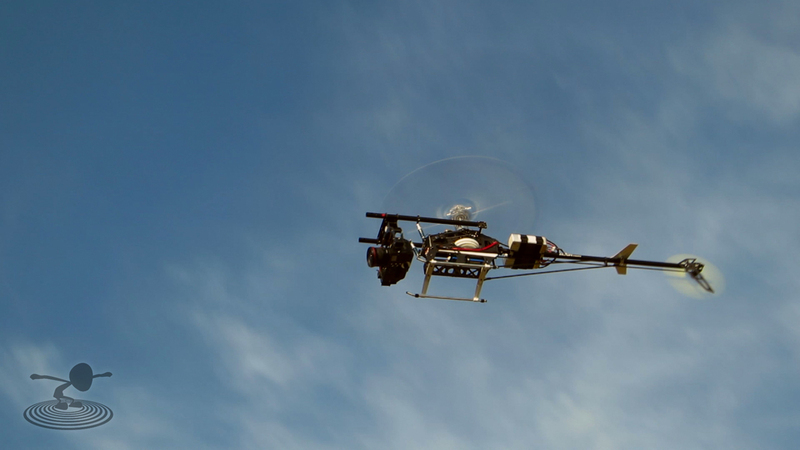 The RC helicopter has been modified with an extended tail boom and 820mm carbon blades, making it a T-Rex 800E mounted with a Canon 5D Mark ll DSLR camera for aerial video! 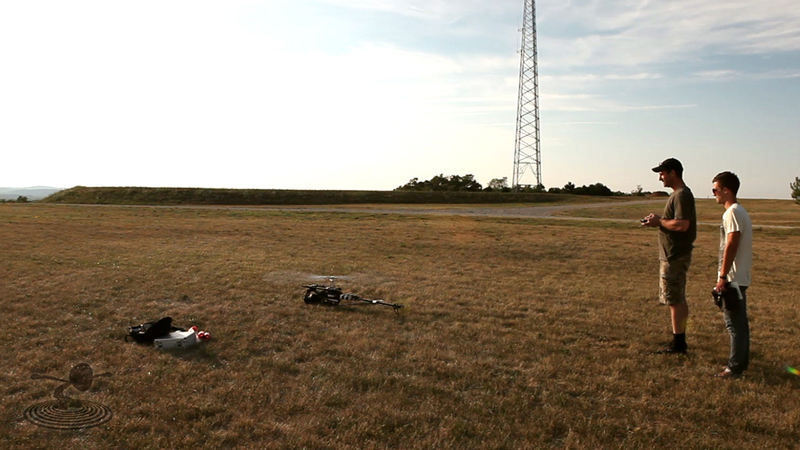 Eric is one of the camera men for Flite Test and over the summer we documented him testing out his T-Rex 800E Aerial Video Helicopter for the first time. 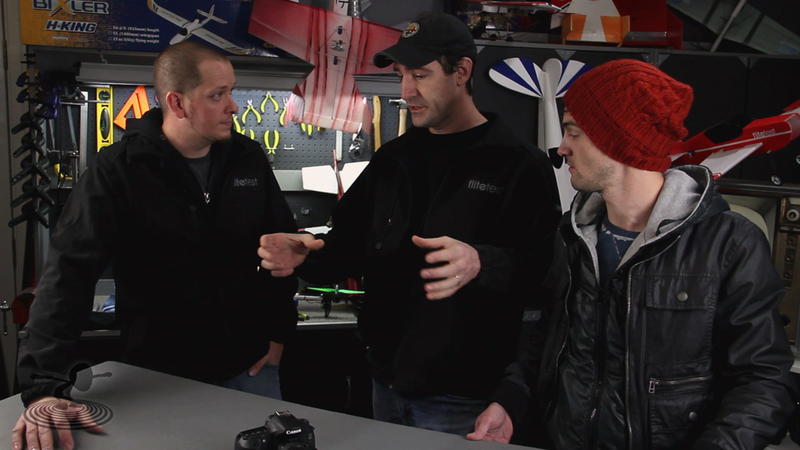 Along with shooting video for Flite Test, Eric owns a production company that specialized in aerial videography. He started out with custom built multirotors carrying GoPro cameras and with the desire to capture higher quality video moved up to flying DSLR cameras like the Canon 5D Markll. The lens he's using in this test is a Canon EF 16-35mm f/2.8L lens. 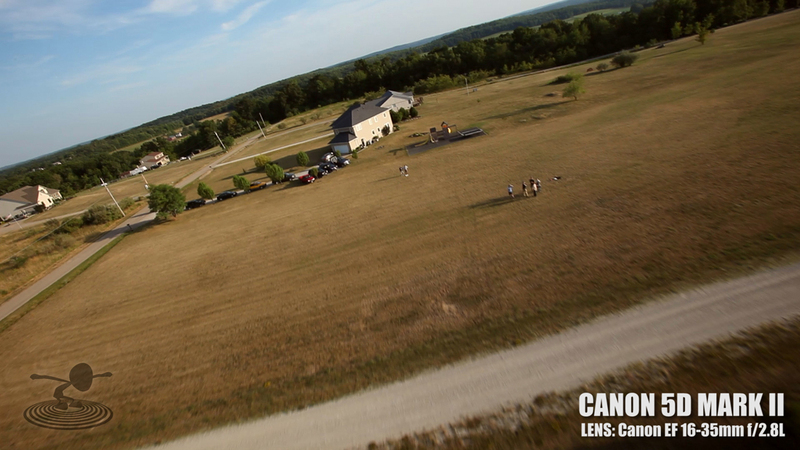 Among the benefits of getting amazing aerial video and photos with the DSLR camera mount, there are some down sides. 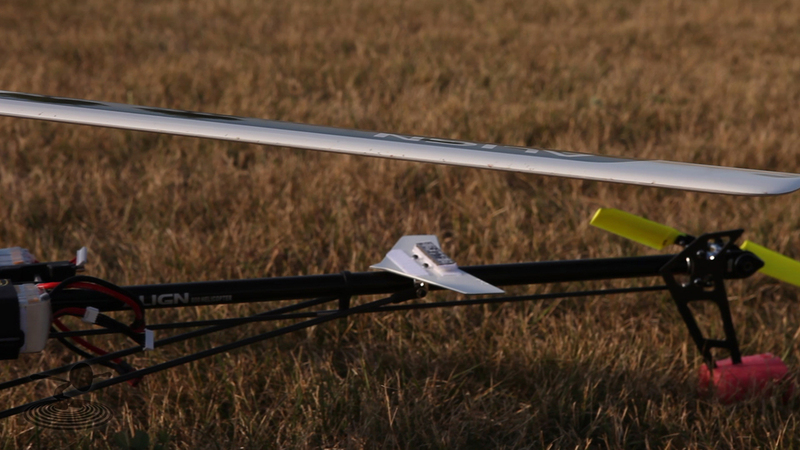 The helicopter only gets about 7 minutes of flight time with it's two 6-cells wired in a series. 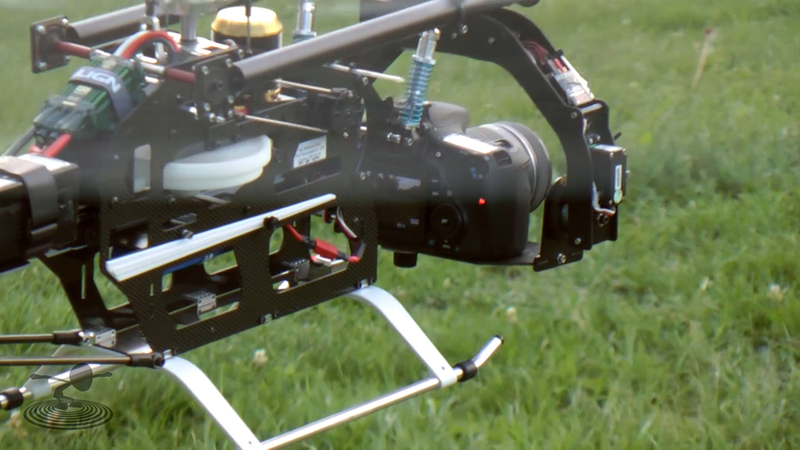 The T-Rex is setup with a PhotoShip ONE 2x Pan/Tilt gimbal that he has setup to be controlled separately by an operator. 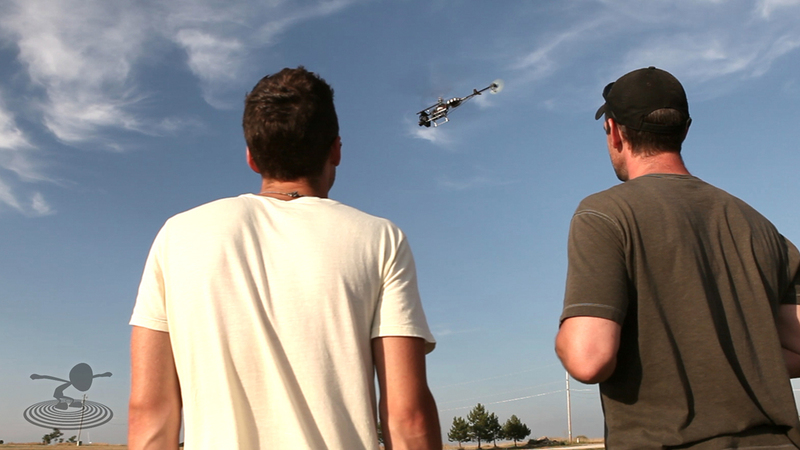 This helicopter is another tool that Eric uses for his video work. 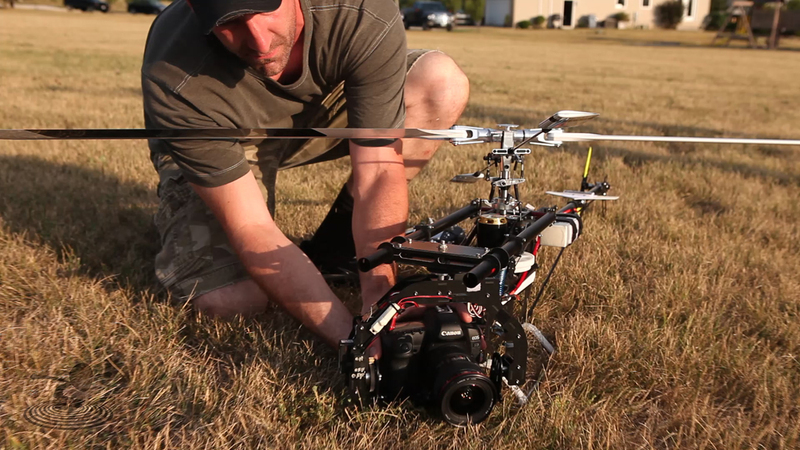 He still uses his other multirotors for specific video shoots; like indoor events and smaller budget productions. Great to see Eric on camera instead of behind it! Also, you should have staged the ending of Rocky when Apollo Creed and Rocky were in the ring and they both swung at the same time but stopped filming right before blows connected. Would have been epic!!! Good episode guys, keep them coming!!! Is that a Twin swappable I see? :applause: My prayers have been answered! First an acro swappable, and now a twin! it's nice to finally see Eric on camera. 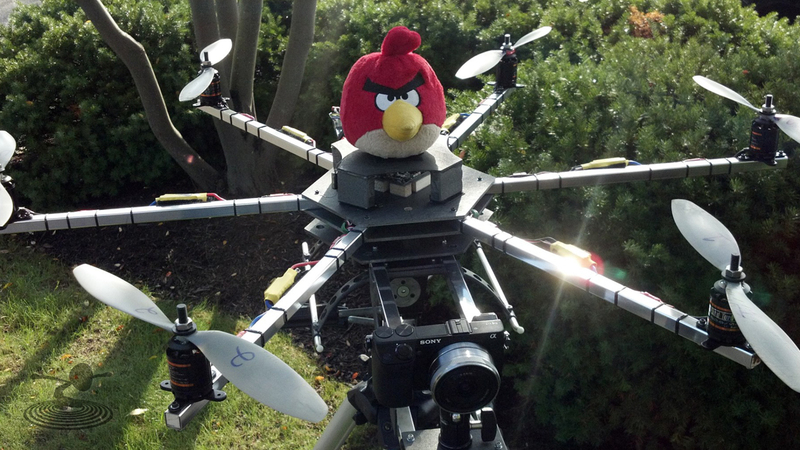 Man you really inspired me with your angry bird quad and the pool noodle landing gear. Something I found bizarre is that the output of 5d seems a bit of low quality, I suppose that was done on purpose? OK my guess is that rig minus the camera and transmitter is about $4K+. Am I close?